Here it is, hours away from December. So in honor of this wonderful time of the year, here are five ways to have a more socially responsible holiday season. If you’re replacing lights on your Christmas tree or for your outdoor decorations, switch over to LED lights. They’re brighter, cheaper in the long run, and use less energy. We recently installed a timer on our outdoor lights. It’s the best three dollars we’ve spent in a long time! No more worrying about whether or not we remembered to shut them off, they do it themselves. And you can always override it if you want them on for a special occasion. If you have a real Christmas tree, make sure that you don’t just toss it out. Once it’s done and served it’s purpose, bring it to a location where they have tree disposal that involves chopping or mulching it. It will live on in service! This is a very difficult time of the year for many families. Whether they don’t have enough to buy gifts or to have a special holiday dinner, a lot of people rely on a little help to get by. If you are able, drop off a new toy, some unused coats, or non-perishable food items to a local donation site. One small gesture could make someone’s holiday season a whole lot brighter. 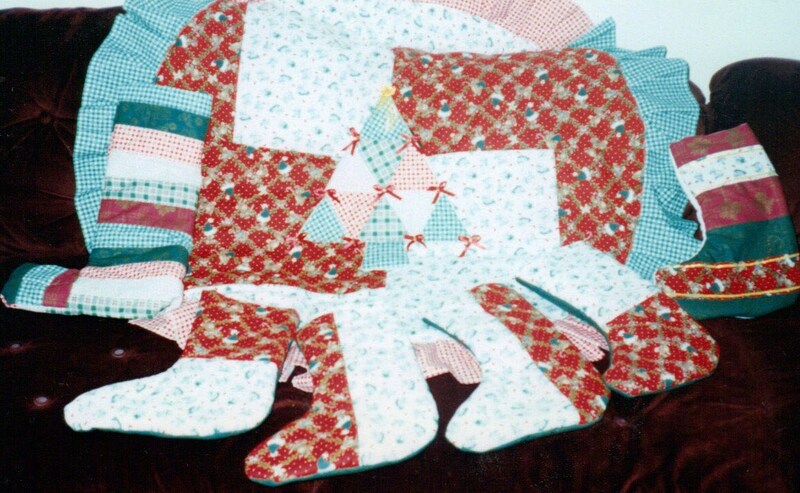 The picture posted here is a tree skirt, decoration, and Christmas stockings that were made out of scraps of material. That was back in the 90’s; now we have Pinterest. There is a never-ending supply of ideas for making your own ornaments, decorations, cards, etc. Give it a shot, it’s very satisfying! Most of all, have an enjoyable holiday season filled with family and friends! It’s almost Black Friday. Those two words can strike fear or excitement into the hearts of many. But a recent conversation with my mother got me thinking about some family that are really having a tough time this year. Most of us have been there; wolf at the door, wondering how the ends could really ever meet. What would they be thinking about Black Friday? “Big Deal”, I hope. In the grand scheme of things, somehow the holidays have been transformed into more-is-best. Gone are the days when you gave a person one gift. One nice gift that was filled with thought and actually had meaning behind it. Remember those days? I do; and I miss them. So this year, I will go out the day after Thanksgiving, but not so much to race for “stuff”. I will go out to spend time with my daughters, hoping that my desire for the return of simpler times rub off on them. Where will I go to actually purchase my gifts this year? I will go to small shops in my neighborhood. 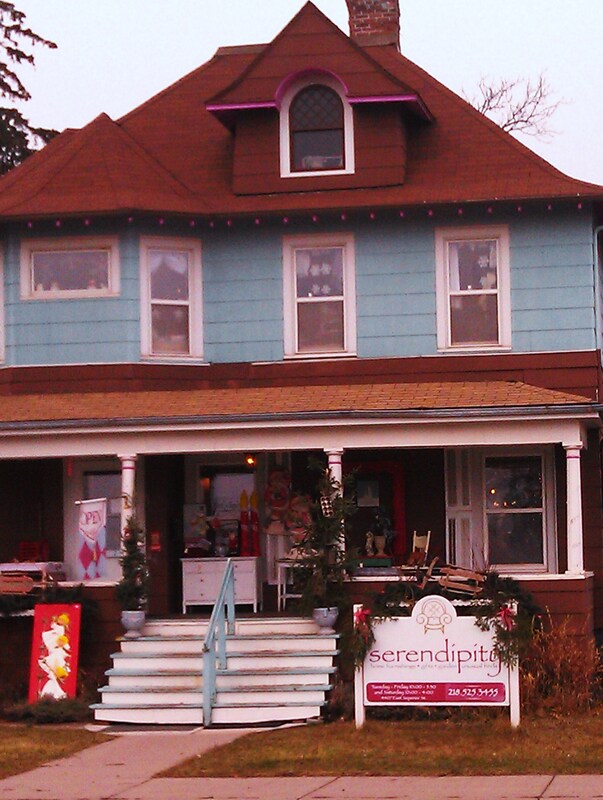 We have some amazing little stores filled with potential for finding the perfect gift for each person on my list. Our hardware store is right out of the 50’s I swear! I could spend hours in there just milling around the myriad of things you’d never see in a big box home improvement store. And these shops all come with friendly staff members that love to show you what “just came in”. So even though I will be out and about on Friday, it’ll not be for filling a cart and wrestling to get to the checkouts. We’ll look around, do a lot of people watching, and probably go out to eat. The real purchasing will take place on Small Business Saturday. I hope you’ll join me and Shop Small. Back in 1970, Bill Foussard and his friend, Barb Aslesen, heard about a friend’s family that was not going to be able to afford a Thanksgiving dinner. They immediately sprang to action planning to cook extra in Bill’s kitchen and deliver a full meal to them on Thanksgiving morning. A few people heard what they were doing and asked Bill and Barb if they could help out with feeding two more families. Those three families amounted to twenty-four meals that inaugural year; this year they will feed 19,000 people. Owner of the Best Western White Bear Country Inn in White Bear Lake, Minnesota, Bill is no stranger to making connections. That is how this Thanksgiving Meals on Wheels program works, all through volunteerism and donations. Having no paid staff, a hundred percent of cash donations go to the program. When I asked him where he got all the food, Bill gave all the credit to others, “People are just generous!” Some of their contributors are Jennie-O turkeys in Minnesota and US Foods headquartered in Illinois. They even get donations of some of their rolls from a bakery in Omaha, all a testament of the regional spirit of giving. Initially they cooked the meals in Bill’s mother’s kitchen; feeding up to 400 people. When the program outgrew that space, they moved to a mobile kitchen, working out of the Prom Ballroom in St. Paul. After that location was torn down, they settled in their current location at Cretin Derham High School in St. Paul. This is a convenient setting for the 3000 volunteers who start rolling in–some as early as 4:00 AM. The cars are on the road by eight with a minimum of two volunteers per vehicle. Often times it is a family affair. Since they are done with all the deliveries by eleven, people still have plenty of time to enjoy the rest of their day. Barb works with over thirty agencies to find the families who are in need. This year they will enjoy dinners of turkey, dressing, potatoes, peas, corn, cranberries, rolls, pumpkin pie and milk. When I asked Bill how much time he spends all year organizing this amazing undertaking, he deferred any accolades, “I never talk about time. That morning is so special.” But I know Bill; his phone is like an extra appendage. And if you think he gets to rest after Thanksgiving, you’re wrong! 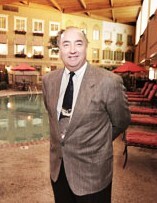 He’ll be preparing for the Christmas party he is hosting for 150 local seniors at his hotel. If you would like to volunteer for Thanksgiving Meals on Wheels in the Minneapolis/St. Paul area, please contact Bill at 651-699-5404. For people like Bill and Barb…we are truly thankful. I read in the paper the other day that one of my favorite teachers from high school passed away. Mr. Thompson, affectionately known as “Mr. T”, was my biology teacher. Not a favorite class of mine, for sure, but he made it fun. I learned a lot about things I had previously never even thought about. But more importantly, he educated me on the subject of helping others. Our classroom was set up with tables, two students each, alphabetically. The boy I had to sit with was certainly not someone I would have chosen. We had nothing in common and he never seemed to be at the same pace as the rest of the class. Mr. T would rely on me helping him out so as to keep the class moving forward. Looking back to those years, and helping that struggling student, I guess that was my introduction to volunteerism; and in many ways helping him helped me to understand the topics better. Maybe that’s why so many get involved with volunteering, not just because of the way it makes them feel, but because it enables them to see things differently. If you are looking for some ideas to give back this holiday season, how about spearheading a toy or coat drive in your community. If that’s not your cup of tea, how about the Salvation Army? This organization provides Christmas dinners, clothing, and toys. They also help with basic necessities and seasonal aid for all families and especially families of prisoners. They keep their shelter open for Christmas dinner and bring gifts to shut-ins and nursing homes. Even if you only have a few hours to spare, those red kettles are everywhere and the bells aren’t going to ring themselves! 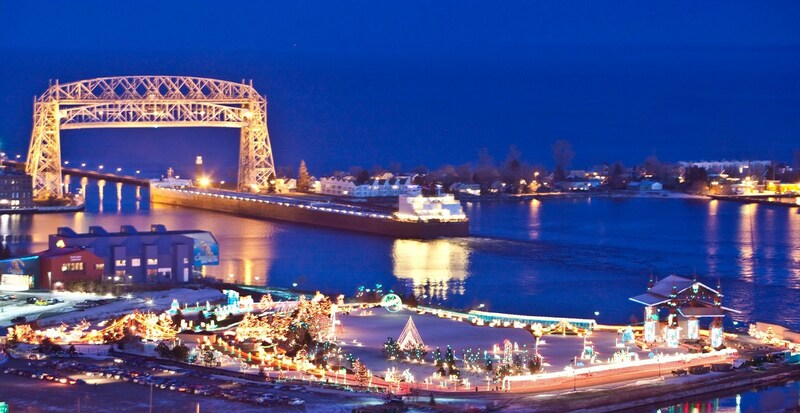 Where we live there is a seven acre, three-million-light holiday display you can walk through by Lake Superior. It is a strictly volunteer-run lighting display that comes complete with bonfires, cookies, cocoa, and of course Santa! Bentleyville now even features a 128 foot metal Christmas tree that boasts 50,000 LED lights just on that structure. Voted best lighting display in the state of Minnesota, it will open Friday the 16th of November and host nearly 200,000 visitors before it closes the day after Christmas. Now that sounds like a volunteer opportunity to get involved in; and who doesn’t love fire and cocoa? I think that is definitely something Mr. T could get behind. Here it is, time to fall back for another year. I will be happy to see the morning light come earlier, but I sure don’t like how early it gets dark. My mom used to joke that northern winters made you feel like you worked in a mine, it’s dark when you go in and dark when you go out. I certainly would have to agree. But there are a couple benefits to having this twice yearly occasion; it’s a good reminder to do a few things around the house. The first thing that usually pops into people’s mind is changing batteries on smoke and carbon monoxide detectors. That is a fine idea, for sure. My husband wanted to know why we couldn’t just change them when the unit started beeping. I said I suppose it’s because people may remove the battery to stop the chirping, but then forget to replace it. Or maybe someone took out a battery to give life to a toy for an inconsolable child and left the smoke detector disabled. 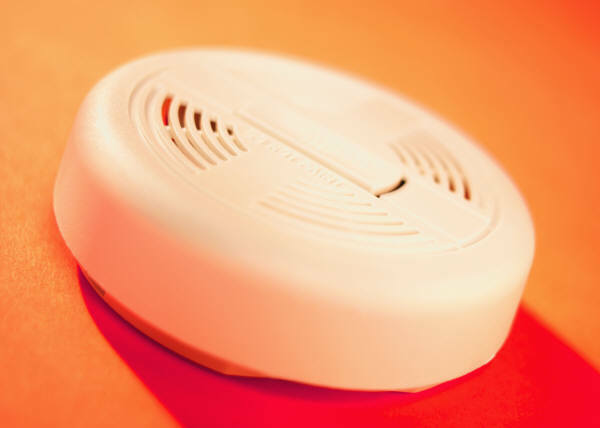 All those possibilities and more are out there, so it’s a good rule of thumb to install new batteries and do a test on all of the smoke detectors in your house when you fall back and spring forward. While you’re at it, why not fish out all the flashlights from that junk drawer. Give them a test and see if the batteries are working. You never know when your power will go out. The other thing you should do a couple times a year is flip mattresses. It used to be a lot more complicated, before the pillow-tops became a standard. Those standard mattresses need to be flipped four different ways, front to back and side to side. The pillow-tops just get rotated, top to bottom. If you’re wondering why someone should go to such trouble, it helps to extend the life of your mattress and make it wear more evenly. Good for the mattress and good for your back! So before you go to bed on Saturday night, make sure you set your clocks back an hour. And don’t forget a stop at the store for batteries on your way home, you know, before it gets too dark.